Zetsche said Li Shufu had no intention to go beyond his current near 10 percent stake in Daimler. 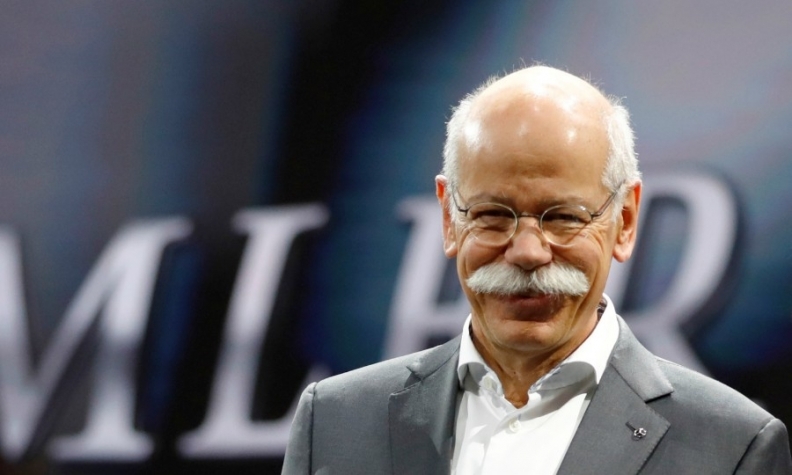 BEIJING -- Daimler CEO Dieter Zetsche said there was no indication the automaker’s largest shareholder, Chinese auto magnate Li Shufu, was planning a hostile takeover, after he took a $9 billion stake in the company earlier this year. Zetsche said Li, the head of Chinese automaker Geely, had told the automaker he had no intention to go beyond his current near 10 percent stake in Daimler, which he announced in February. Li's deal for the stake in Daimler raised fears in Germany about the country's most-prized assets falling into Chinese hands, especially because the deal had not triggered normal disclosure thresholds and so caught market insiders unaware. The Chinese business leader had used Hong Kong shell companies, derivatives, bank financing and carefully structured share options to keep the plan under wraps until, at a stroke, he become Daimler's single largest shareholder. The Daimler CEO added there had been no discussions about guarantees that Li would not increase his stake. Zetsche, speaking at a round table event at the auto show in Beijing, added the company was not currently considering cooperation with Li or his company Geely. Daimler already has a Chinese joint venture partner BAIC. Li and his firm Zhejiang Geely Holding control Sweden's Volvo Cars, London black-cab maker LEVC as well as its own Hong Kong-listed unit Geely Automobile Holdings. It has also agreed to buy a $3.3 billion stake in Volvo Trucks. Several major deals last year raised German sensitivities about multi-billion-euro foreign takeovers, notably Chinese home appliance maker Midea Group buying German robotics firm Kuka, and Hong Kong billionaire Li Ka-shing buying German metering firm Ista.